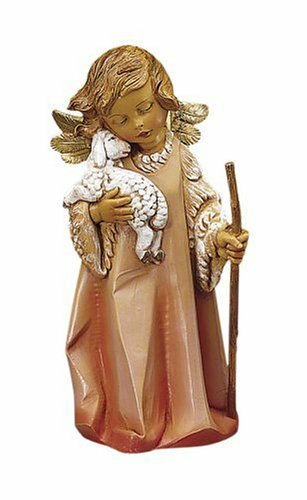 Fontanini has been producing beautiful, collectible nativity figurines and set pieces for many years. 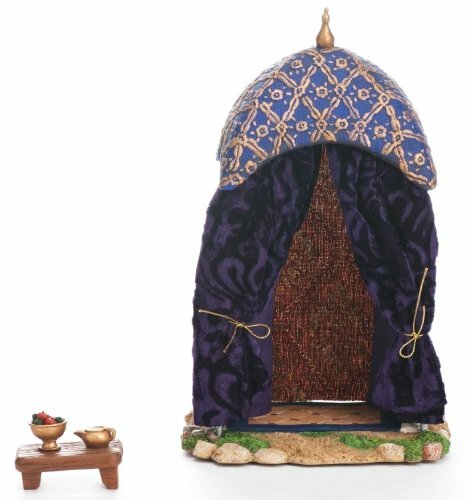 When my partner warned me that his Nativity set, produced by the Italian company Fontanini, was large enough to take up an entire room in his house, I didn't quite believe him. Yet when we moved in to our new home in 2010 and I cheerily said, "Let's set up the Fontanini this year to celebrate the new house!" I had no idea of the work I was suggesting we undertake! Suddenly boxes upon boxes came out of the basement and it was an all-weekend project to assemble and arrange them all the buildings, landscaping, figures and little details. Our Fontanini nativity took up well over half a room in the house, but the end result was worth all of the effort. The nativity was the big "hit" of our holiday party, and in the weeks leading up to Christmas we even had neighbors who'd heard about the nativity ask if they could bring their children over to see it for themselves. All photos on this page are by the author, sockii, of our Fontani display from several years. 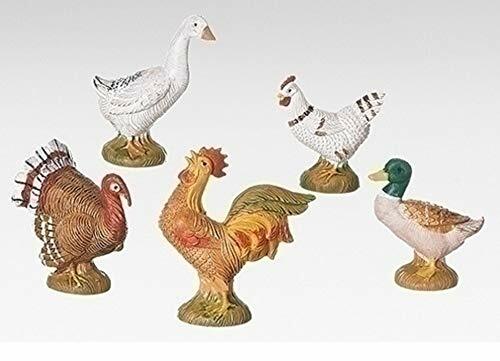 So what makes Fontanini nativity sets and figurines so unique? 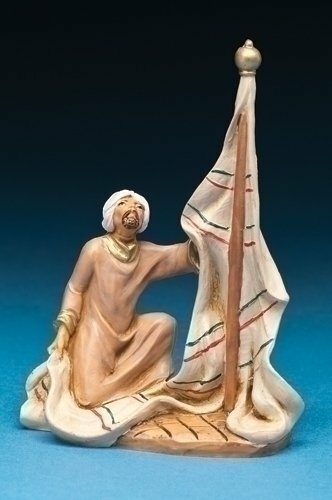 Along with their beautiful craftmanship and charming designs, many Fontanini figures and set pieces are released as limited editions, making them extremely prized by collectors worldwide. 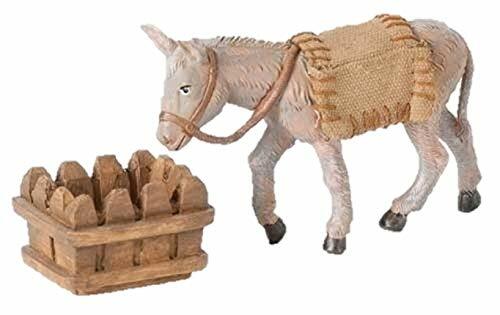 The nativity can be creatively expanded to whatever extent you desire, from a simple manger scene to an entire tent village with a barnyard, roads and waterways, stone archways and bridges, carts and market stands, and all kinds of animals. 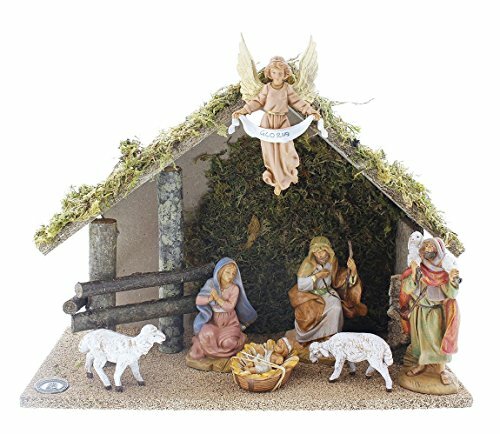 Building a unique Fontanini nativity can be a fun Christmas project for you and your entire family, and make for a valuable heirloom to pass on through the generations. I shot this video after finishing the set-up of our nativity in 2014. Hopefully it will give you a chance to explore and see all of the detail in the various figurines, buildings, and scenery. We have added a few non-Fontanini, handmade pieces we purchased while in Naples, Italy, earlier this year, but I'd say the display is 99% pure Fontanini. The House of Fontanini was established in 1908 by Emanuele Fontanini, in the village Bagni di Lucca in Tuscany, Italy. Today Fontanini is run by the fourth generation of the same family, working to preserve the rigorous methods of figurine production and quality of their sculpting has made the figures highly valued and collected worldwide. Their production process involves a design team working with a master sculptor, to come up with new ideas to keep expanding their lovely collection. 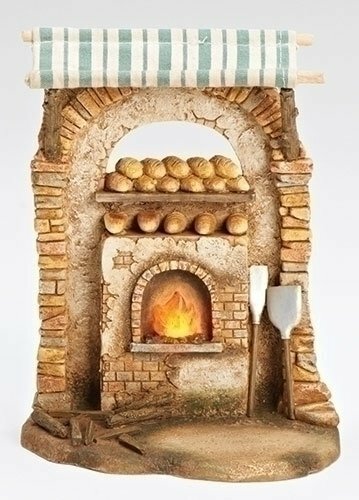 Fontaini nativity items begin as handsculpted figures in lifelike sizes, created from drawings by the Fontaini team. 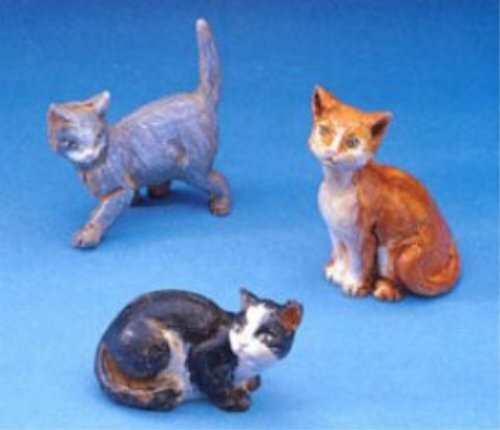 The original clay sculpture is then remade in beeswax, and then a mold is created from rubber or metal and from which figures will be mass produced for consumers and collectors. The molds can be refined as time goes on and will be used until a figure or item is retired from the collection. 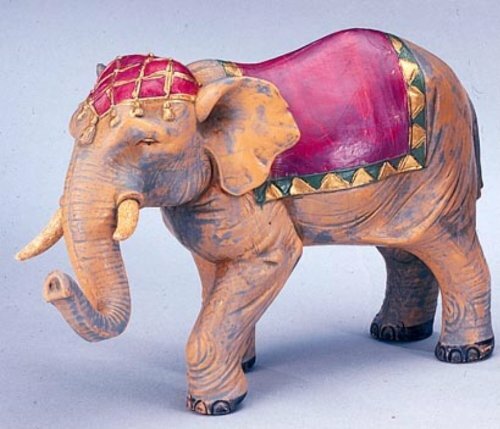 Each Fontanini figure is also hand-painted, making them all unique and one-of-a-kind - some especially collectible figures are hand-signed by the artist as well. 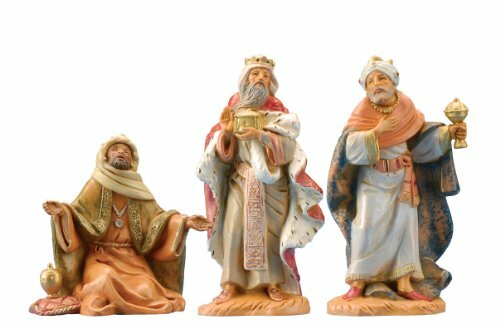 Fontanini nativity sets and figures come in different sizes, with the most popular perhaps being the 5-inch and also the 7.5-inch series. There are limitless variations possible with the many buildings, characters, and landscaping elements that can be added. 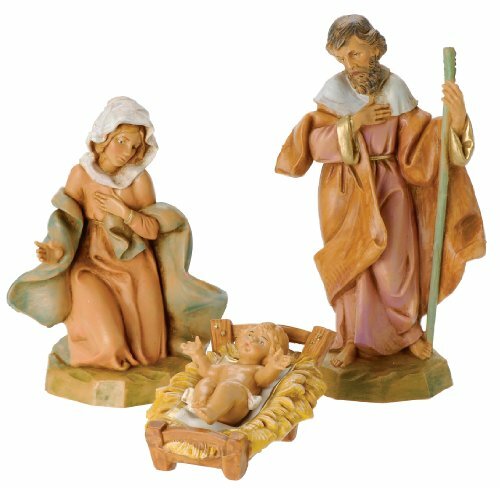 The figures are made from polymer plastic so they resist breakage and are good for families with children or pets - although some accessories are quite small and could present a swallowing/choking risk, so please take care to keep very young children at a safe distance from the nativity display. 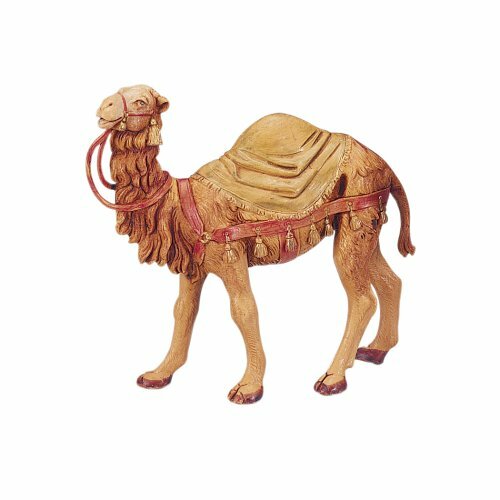 What Makes Fontanini Nativity Sets So Unique? What's so much fun about collecting Fontanini nativity figures and buildings? Their variety and the infinite ways you can expand your set! 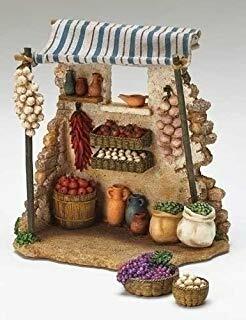 There are so many beautiful and fun buildings, set pieces and figures to add, including a Poultry Shop (complete with chickens), Olive Oil Press and Olive Merchant, a Flower Cart, Winemaker's Shop, Bethlehem Inn, Shepherd's Tent, Spice Shop, King Herod's Palace, City Walls, a Fishing Pond, Synagogue Building, Jewelry and Weaving Shop...the list goes on and on and on! You can add all kinds of animals to the set as well: camels, horses, cows, pigs, turkeys, cats, and sheep. 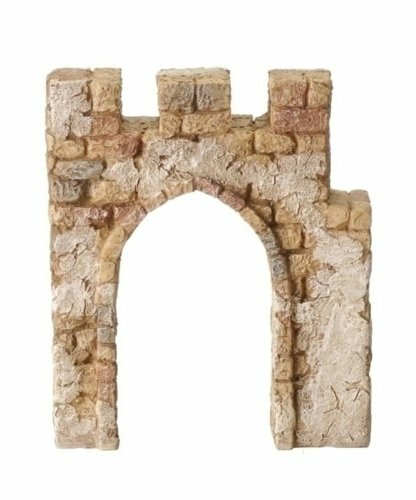 Small accessory kits include child's toys and games, musical instruments, fruit baskets, vegetation native to Bethlehem and so much more. Many of the buildings and tents include small lights which make for a beautiful and dramatic scene in the evening, and there is even a fountain with running water you can add to your collection as well. The figures themselves are each charming and so beautifully crafted. From baby Jesus and Mary to Roman Guards, villagers and shepherds each with their own name and story, and of course angels and kings there to celebrate the birth of Christ. 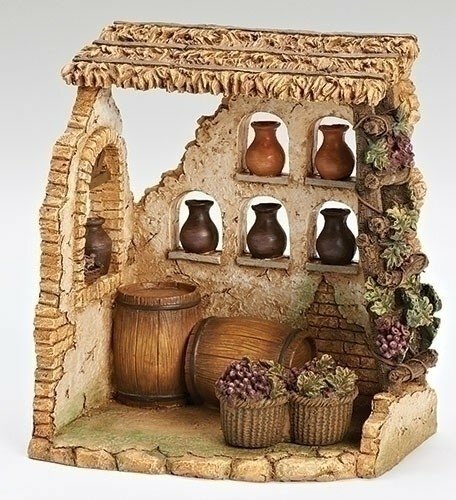 Building a Fontanini scene can be a wonderful way to introduce a child to the story of Jesus and the Nativity, and inspire creativity and imagination with the many different ways you can build your Fontanini scene. 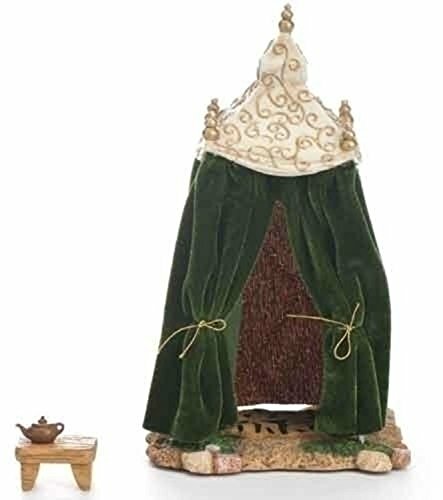 We set up our own nativity on an old Italian cassapanca in our home collection, using then the storage boxes for the buildings and tents to expand it outward on several levels. We then covered them with white cloths, although this year we plan to build some more study stages for the set and use more of a desert-theme setting. Want to get started yourself? 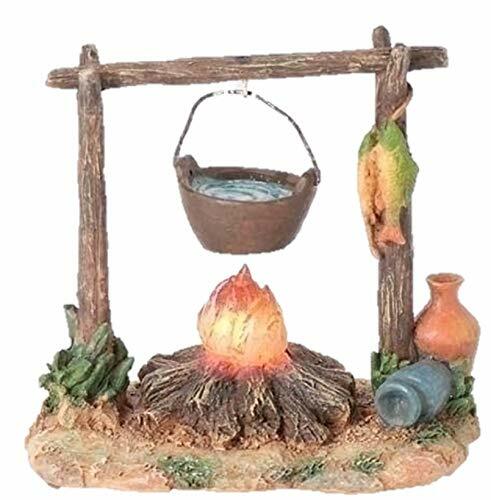 If you want to get started with your own Fontanini nativity, then you'll of course need to begin with a manger scene. This piece is the building block for the entire series, compatible with other set pieces and figures designed for the 5" figurine editions. It comes with the seven figures shown here. 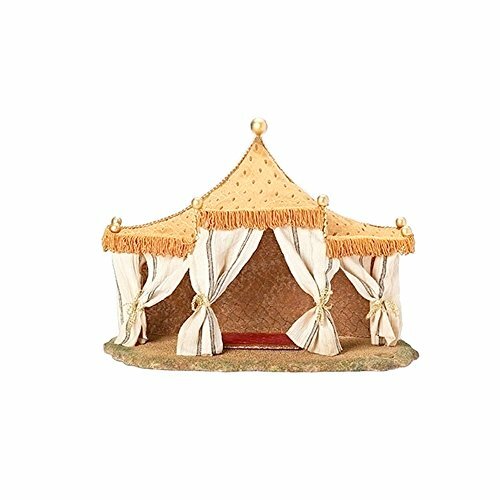 The Kings' tents provide shelter for the traveling "wise men" who came to see the Christ. 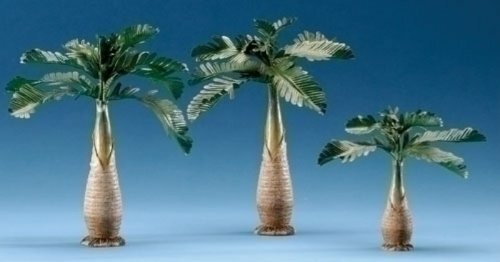 The styles have changed through the years but all of these are designed to work with the standard 5" figurines of the Fontanini series. They are great for part of a "dessert" scene leading up to the manger. We have some of the older tent styles which feature lighting, as well as some of the newer colorful, velvet tents. 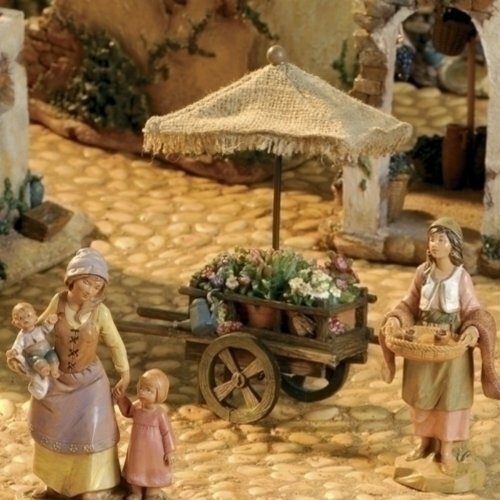 To create your Bethlehem village, you can add various shops for poultry, produce, wine, olives, and much more! There's a carpenter and pottery shop as well, an inn for travelers...everything you could think that a bustling town could use. Some of the older, larger building are hard to find today, only available from independent sellers or on eBay. But you can start building "small" with some of the shops and stands currently available on Amazon as highlighted here. 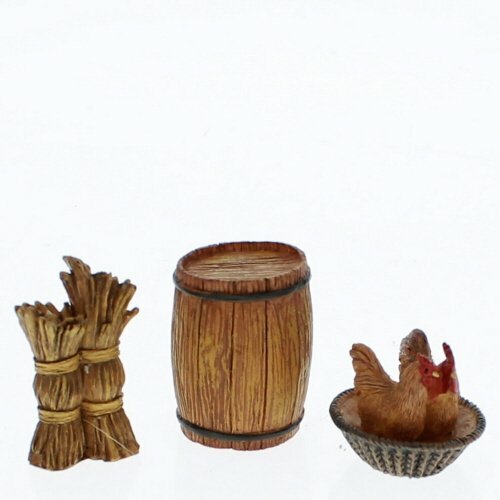 Intricate and well-detailed, these are delightful pieces that will bring your nativity scene to life. 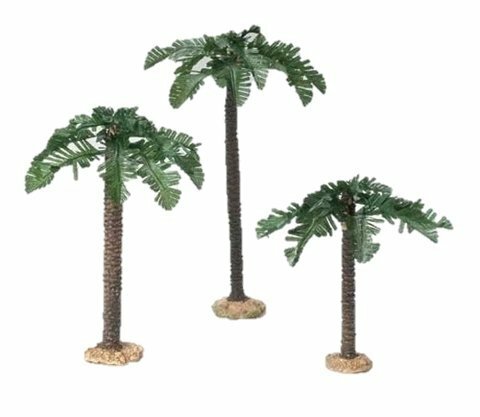 Of course if you want to build a truly magical yet realistic scene, you'll want to add some landscape elements to your Fontanini nativity. 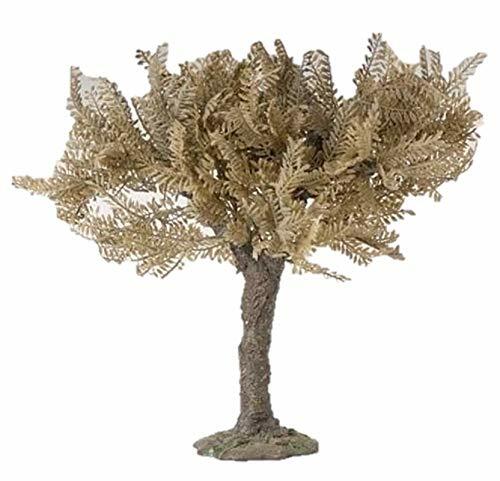 There are numerous types of trees you can add, including palm trees, olive trees and pines. There are small plants, flowers and cactuses, too. 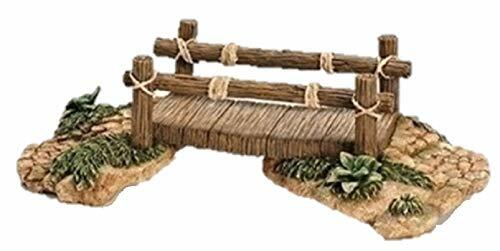 You can also add walls, bridges and sections meant to look like pieces of Roman ruins, water passages and more. The fun part is then designing your village and dessert-scene areas to your whim and fancy. Have fun - and try to build on multiple levels to create unique visual interest and activity. 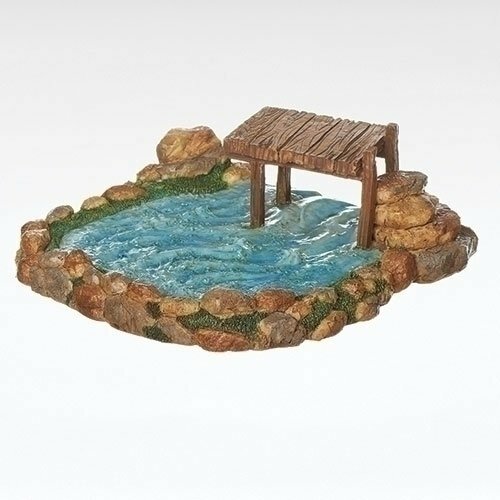 Create your own magical world with Fontanini! 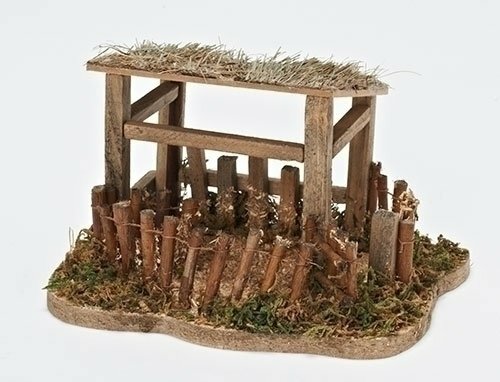 The possibilities truly start to become endless as you look to add more and more elements to your nativity display. Get some naughty cats you can have snooping around the produce carts (or fishing pond!) Add more sheep and other animals for the shepherds and villagers to tend to. Warning: it can become addictive hunting for new pieces every year! 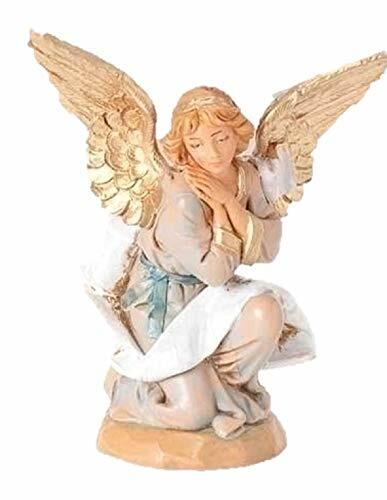 The following is a list of suppliers on-line where you can select and buy Fontanini figurines, gift items and nativity sets. If you can't find what you're looking for on Amazon or eBay, check out these sources as well. Billed as "America's Nativity Headquarters", they carry Fontanini as well as other collectible nativity sets. 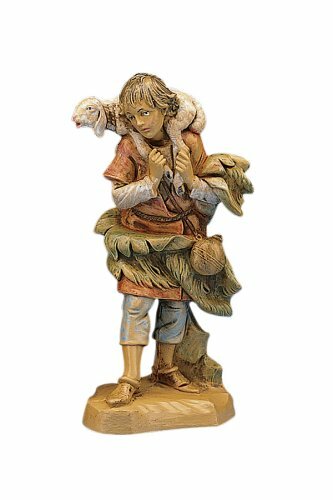 Roman Inc. carries several lines of nativity figures and Christmas items, including of course Fontanini. 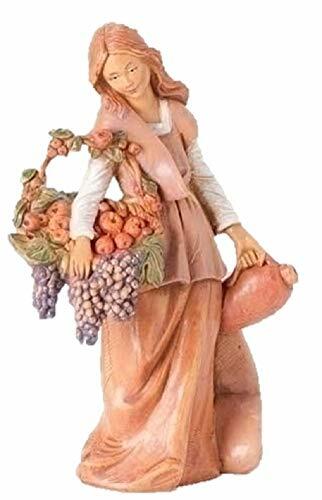 Large collection of Fontanini figures are available from this Michigan-based Christmas superstore. This storefront offers a wide variety of Fontanini nativity pieces, neatly sorted by category and size. 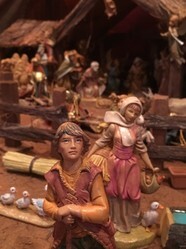 Thanks for checking out my page about Fontanini nativity sets. 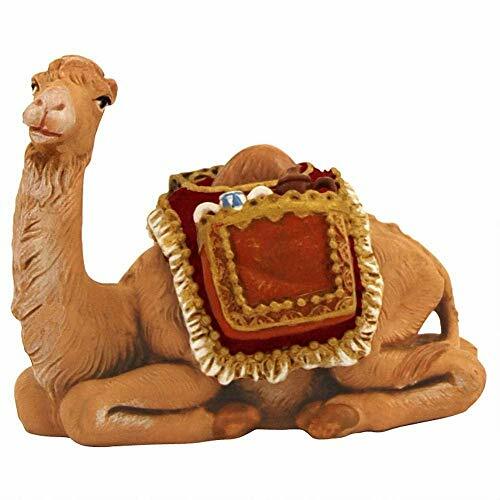 Do you have a family heirloom nativity, or are you thinking about starting to collect one? Leave a comment and share your story! Impressive displayfor Christmas. Instead of putting up a tree I have contain Holiday display to Frosty Friends. Once a display is up there is additional fun with getting the digital camera out and taking pictures. With lighting and editing you can have shots suitable for printed greeting cards. Ours is smaller, and we have a few added pieces. The last piece we bought was when Fontabini visited a local department store. People bought from a special display, and pieces were being signed, making them even more collectible. I believe the added characters are keeping with the Italian tradition started by saint Francis where the setting was localized so people would better understand the lesson being taught, or perhaps the tradition from parts of France to include santons, every day people in normal occupations, showing normal people can become saints one day. I have yet to find it the Italian and the French traditions are related, but may very well be.